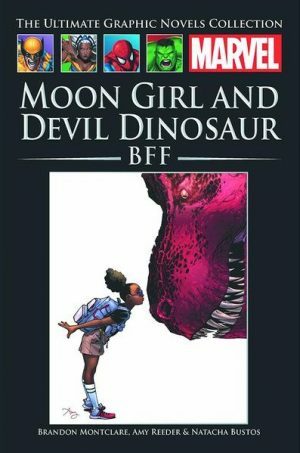 Even with Marvel’s 2012 revelation that people with skin colours other than white exist on Earth 616, allying Jack Kirby’s mid-1970s oddity Devil Dinosaur with a nine year old African-American girl was an idea from way out in left field. It works, though, very well indeed as a young adult title that old adults can also embrace. 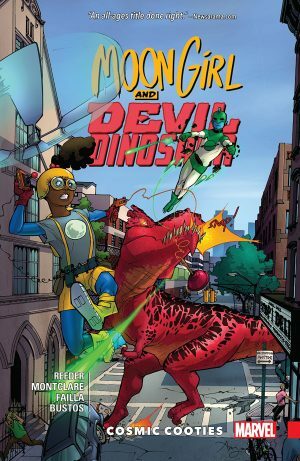 Technobabble sees the original Devil Dinosaur transported to the 21st century via one Lunella Lafayette’s constructions. She’s by some distance the brightest girl in her primary school class, and when it comes to science she ranks ahead of the teaching staff as well. Her mind’s always elsewhere in class and leads to her derisive nickname of Moon Girl. 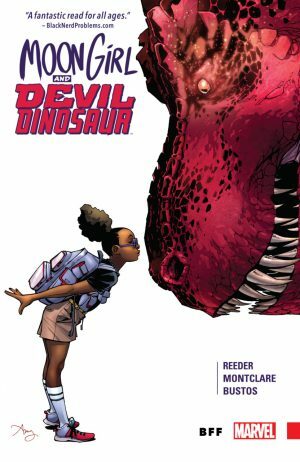 Despite writers Brandon Montclare and Amy Reeder instituting a sitcom mood, they’re able to ensure Lunella is likeable. Her isolation and dedication reaches out to touch the heart, and a similar effect is achieved with the dinosaur, although that’s mainly down to the sensitive art of Natacha Bustos cementing the character. She does this via the angle of the head, which is some trick considering the realistic lizard eyes and massive claws and teeth. 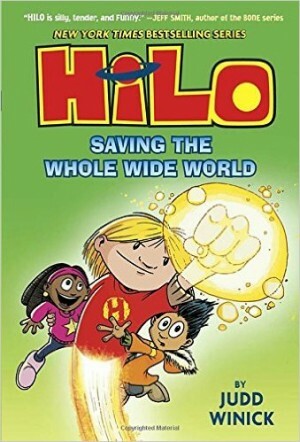 The story ties in with a period at Marvel when the Inhumans’ transforming gas was floating about creating new heroes, which may well have been good for the serialised comics, but is misguided the further distanced from other titles Moon Girl becomes. It’s appears to be not integral to the core plot or core relationship and comes across as meaningless in places. It’s not the case, but it’s only in Cosmic Cooties that we discover that. 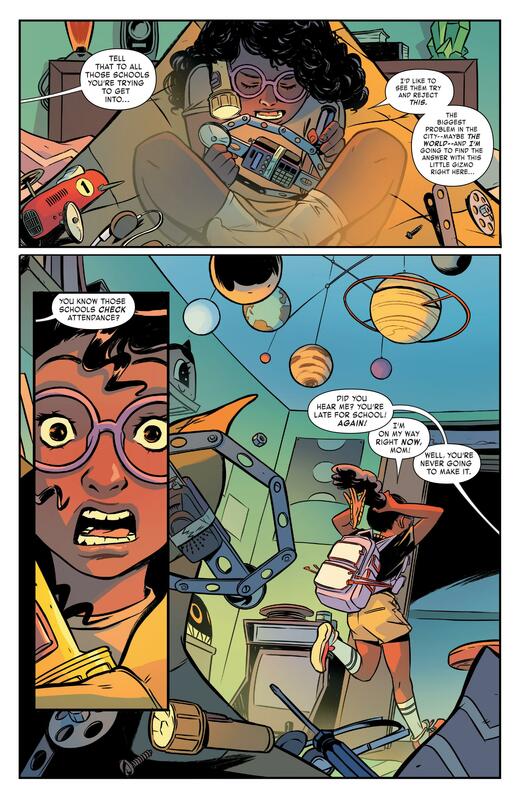 Small touches add depth, such as Lunella keeping the dinosaur in the school basement, commentary on the ludicrous compulsion in some US school systems to refer to “the theory” of evolution, and the wonderful devices she constructs. 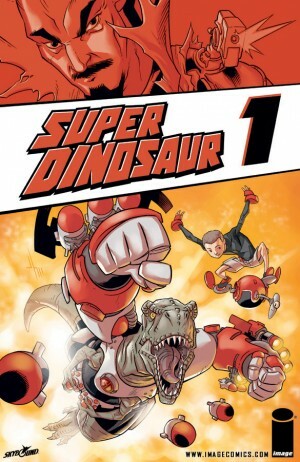 On the larger scale there’s a fantastic guest slot for the Hulk, and while the bunch of cavemen transported with Devil Dinosaur initially seem surplus to requirement, they develop in an unpredictable way, and by the end of BFF have become very entertaining. Montclare and Reeder stress the positive. Lunella has a perpetual can-do attitude that informs her decisions, and its culmination is toward the end where she gives the lone hero going to sort everything out speech. It’s word perfect as she embraces her nickname. 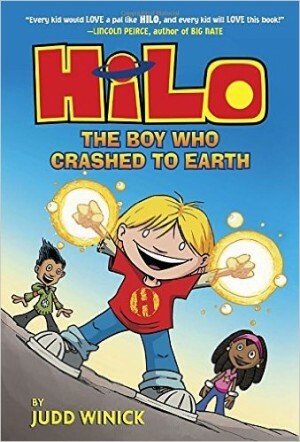 This series oozes charm from the first glimpse of Bustos’ cartooning, and it’s no surprise to learn that an animated show is in development. BFF is wonderful, and the joy continues in Cosmic Cooties. You’ll want to head there anyway, but for anyone swithering, this has a cliffhanger finale.